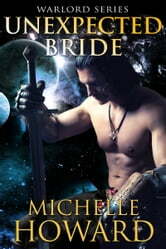 He'll discover that just as strength comes in many different forms so does love and sometimes it takes the heart of a Warlord to recognize his unexpected bride. Saran is an idiot.. He had a good thing and threw it away, to save his pride. I think he needed to grovel a bit more, as he love nursed him through his accident, and he tossed her away for a 2nd time. Macho males often let pride rule their brain and heart, and made it easy for others to play him. He never picked up on this till the end. This book took me a bit to get back into the connections of all the warlords, as it has been a while since reading the series, this could have been the reason, I got a little frustrated trying to make connections. I think it would be worth while reading Vanns (Honor bound) book again before you read this book. Not a bad story.